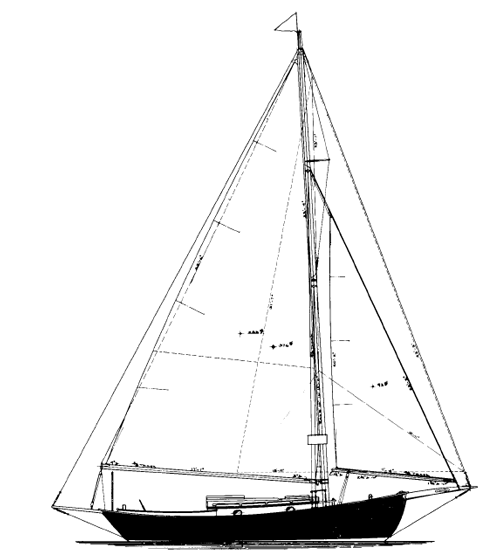 A roomy auxiliary sloop in a small package. Construction: Carvel planked over steamed frames. Alternative construction: Cold-molded or strip.